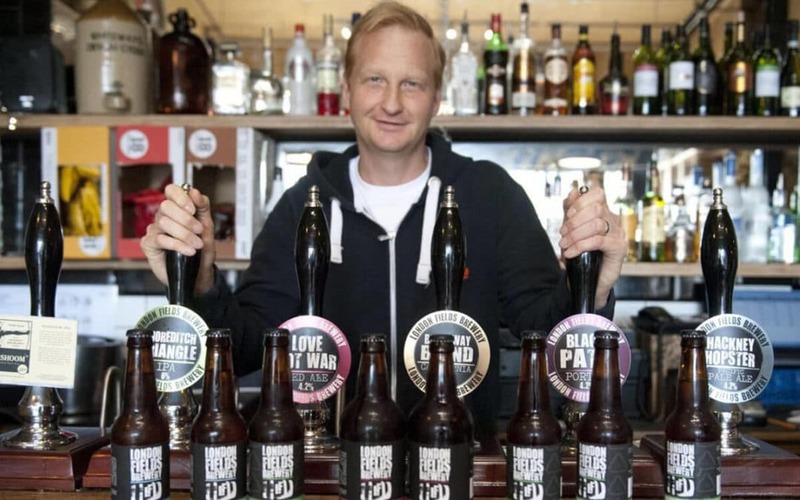 Carlsberg buys London Fields Brewery, Carlsberg UK has acquired London Fields Brewery and will operate the business in a joint venture with Brooklyn Brewery from Brooklyn, New York. London Fields Brewery, which was founded in 2011 in the vibrant London Fields neighbourhood of Hackney, London, came to prominence through its range of iconic craft beers including Craft Lager, Easy IPA and Shoreditch Triangle IPA. Currently London Fields Brewery beers are brewed outside of Hackney by a brewing partner. Investment will be made to re-introduce brewing at its original home under the railway arches in Hackney, and to upgrade its tap-room and events space. As part of the joint venture, Brooklyn Brewery will work together with the London Fields Brewery’s team to continue developing innovative, tasty and well balanced beers.